Cleopatra and Anthony were near a fish bowl and somehow they died. What happened? Cleopatra and Anthony were fish and a cat knocked over their fish bowl and since fish can't survive without water they died!! 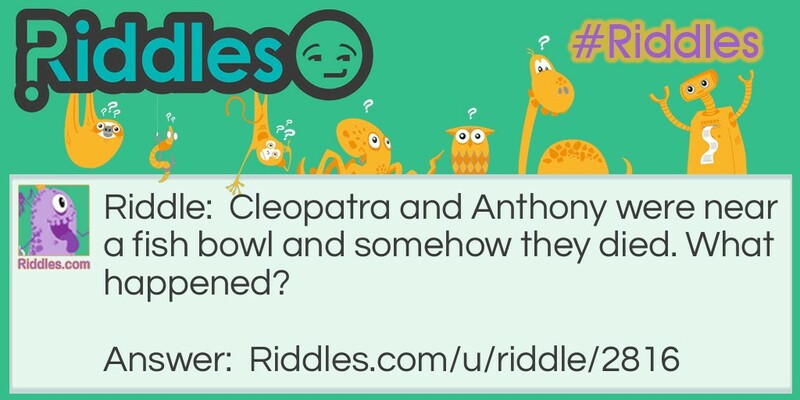 Cleopatra And Anthony Riddle Meme with riddle and answer page link.